The Creston Valley is located in southeastern British-Columbia. It stretches from Kootenay Lake to the USA border and is flanked in the East and West by the Purcell and Selkirk Mountain Ranges, respectively. Harbouring a number of species at risk, the valley holds important winter habitats in the wetlands and crucial travel corridors for elk, moose, caribou and grizzly bears. The mild climate, abundant spring rains and fertile soils support a thriving farming business in the Creston Valley. The wider area also provides timber to two local sawmills and the Creston Community Forest. Growing human populations and expanding communities are putting pressure on wildlife habitats and regional biodiversity. In order to preserve the region’s rich biodiversity and threatened species, the maintenance of critical habitats and the co-existence of humans and wildlife need to be facilitated. 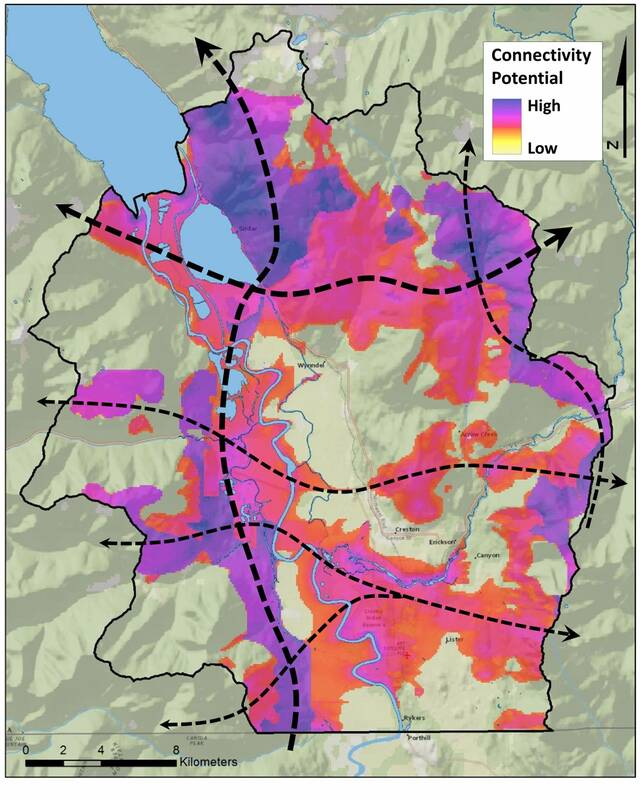 Wildsight’s Creston Valley Branch strives to inform and influence land-use planning processes in the Creston Valley. There is a need for robust objective mapping products to help guide this work. The goal of the Creston Valley Green Map Project is to help preserve the exceptional biodiversity of the Creston Valley. The first steps in reaching this are to characterise the valley’s habitats, to evaluate their relative importance and to highlight areas where conservation and ecological restoration efforts could most effectively support this goal. 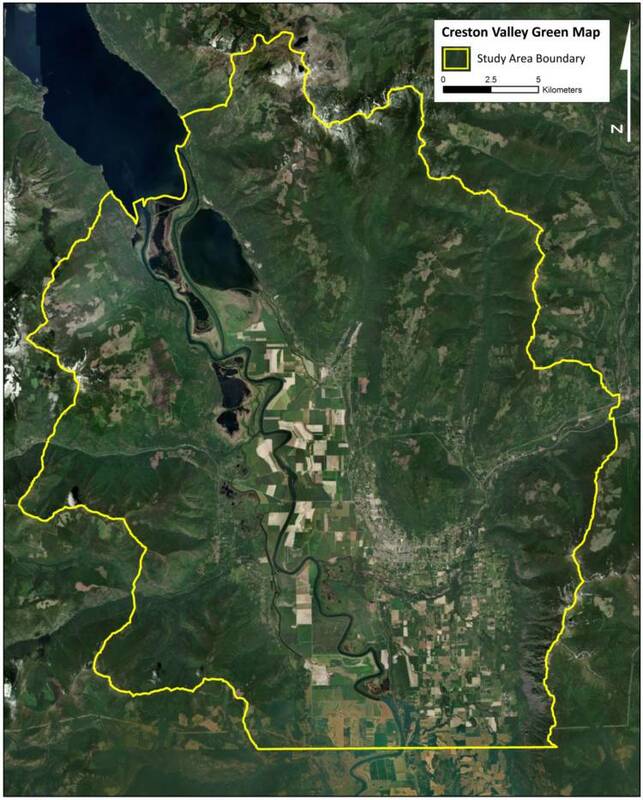 The project aims to help decision makers take steps to preserve the most critical habitat areas in the Creston Valley. As of November 2018, the first phase of this project to produce the map is nearing completion. Watch this site for further updates and a link to the final report. Thanks to the generous contribution from Yellowstone to Yukon Conservation Initiative for making this project possible.